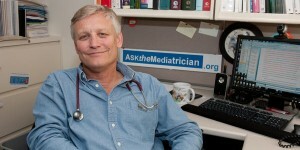 Michael Rich, MD, MPH of Boston Children’s Hospital, Harvard Medical School and Harvard T.H. Chan School of Public Health is “The Mediatrician”. In this episode, the Mediatrician discusses stereotypes in the media. He also talks about how to teach children to understand and recognize these oversimplified and often incorrect portrayals of people when they see and hear them. For more information and to submit your questions please visit Ask the Mediatrician®.